Since today feels like winter might actually end sometime (though not freaking soon enough, lemme tell ya), I was pleased to run across a Milton Nascimento album I had not played in a long time. This is not quite an “Air Is Still and the Light Is Cool” post because the essential Nascimento release (I agree with the consensus) is Clube da Esquina. And there are even two or three others that are superior to the one I threw on this afternoon. But I think it’s his best, most often overlooked album. Nascimento’s other big problem is that he’s made far too many frilly, fussy, fancy, faux-jazzy albums over the years. His catalog is as uneven as any performer capable of such gorgeous work on occasion. This Milton is close to the rigor and vigor of Clube, that is, enlivened by the open-border feel of Tropicalia — not for nothing is the first track “Para Lennon and McCartney.” The only drawbacks are that the album is shortish (only nine cuts) and gets a shade dozy toward the end. Get the Abbey Road Remastered version from 1995. It adds four tracks that bring some welcome pep to the proceedings. 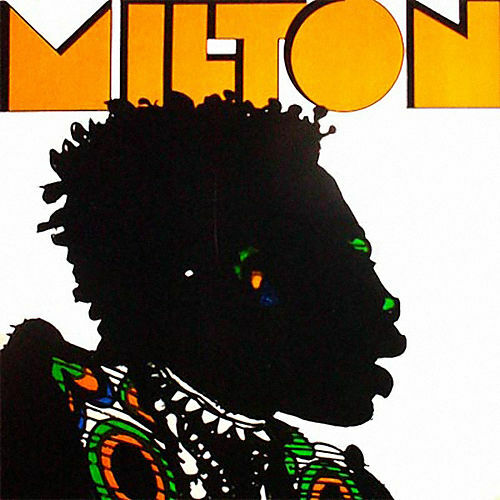 This entry was posted in Music -- Popular Arts and tagged Clube da Esquina, Milton Nascimento by milomiles. Bookmark the permalink. Will get to Milton Nasc. when I have more time but while I’m thinking of it, thanks for the Q65 tip. Equally cultural artifact and good RnR. Like listening to a Nuggets release that’s all the same band. Good one there. Thankee. Over the decades, the rock-group “discoveries” have run out of a lot of gas, until it can feel like there’s nothing left but mediocrities and tiny curios. However, just got a DVD called “Punk in Africa” that covers “the story of the multiracial punk movement … in South Africa, Mozambique and Zimbabwe.” And the only outfit I have heard is the Kalahari Surfers. I’m quite backed up right now, but we will see. Gotta admit, I’m curious about bands who name themselves Hog Hoggidy Hog, Fuzigish and Sticky Antlers. The Pingback links to a very long, beautifully illustrated blog essay about David Bowie (that includes a passage about Milton). Wish I could read it.